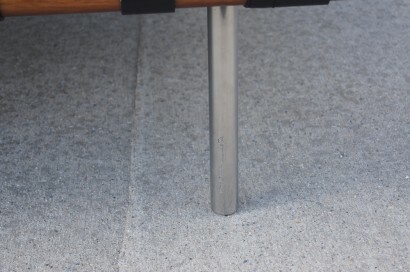 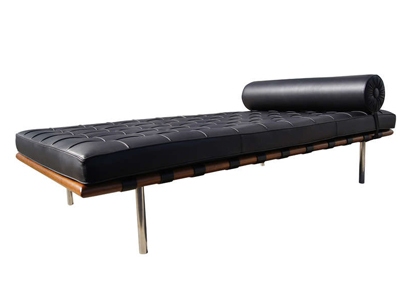 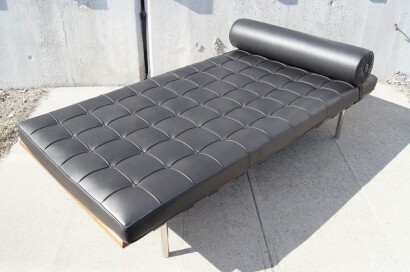 Designed in 1930 by Ludwig Mies van der Rohe, the Barcelona daybed remains an icon of modern design. 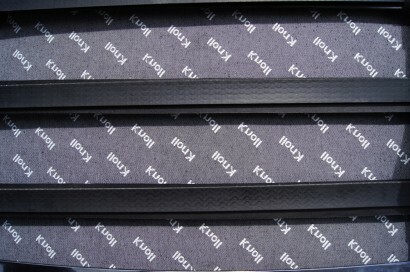 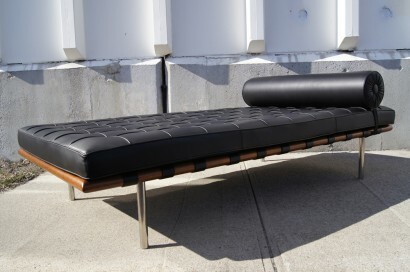 It is constructed of a sapele mahogany frame on stainless steel legs with cowhide straps. 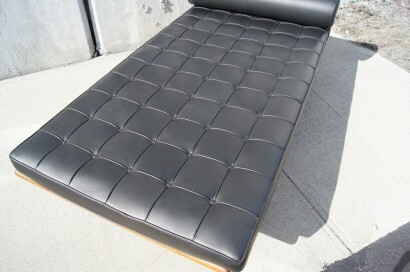 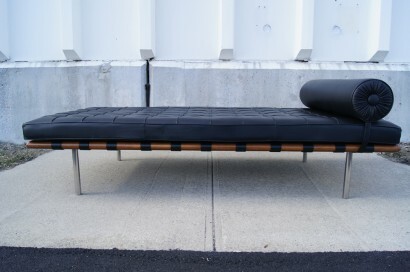 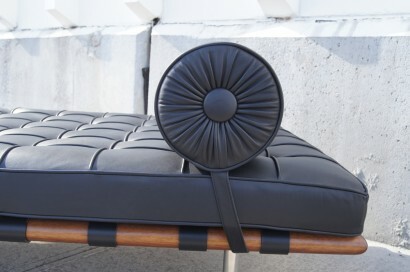 This example is upholstered in black Sabrina leather and is in like-new condition.